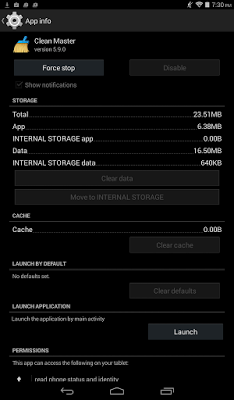 How to Uninstall “Clean Master” App from an Android Device? Is “Clean Master” app safe? “Clean Master” claims to be the world’s leading mobile tools provider that can improve your device’s performance by cleaning junk files, optimizing device memory, providing complete protection against viruses and managing the apps you installed, but still many users are trying to uninstall it from their android device for the app can do nothing good to their device. Moreover, it could probably decrease your device performance. Is it taking longer than usual when you start up your device? Are you using up data at a faster rate than before? Does your battery seem to be running down much faster than previously? Are calls being dropped or interrupted with weird noises? In fact, when some malicious apps are installed on your device, they can be designed to sit in the background and run all day long, therefore you may notice a dip in your battery life. More severe cases of malware will kill your battery faster than mild cases and they could even be used to collect data like account details, credit card numbers, contacts lists, etc. Therefore, if you find “Clean Master” useless, you have to manually uninstall it as fast as you can. In most case, Clean Master app is downloaded on an Android tablet or an Android phone by users themselves from Google Play, but once installed the app is hard to be uninstalled. Usually we can easily uninstall unwanted apps from Settings, then Apps(Application Manager). However, when you do that and you will see the only 2 option under Apps(as known as Application Manager in Samsung device) is “force stop” and “disable” which is greyed out and you can’t tap it. The app didn’t give you any options to uninstall it and apparently it is not a pre-installed app. When you tap “force stop,” it doesn’t do anything but just activates by itself almost instantly. Some users even complain that after doing a factory reset multiple times, Clean Master can reinstall itself and show up as a system app again and again. They concern that this app can collect their data on the mobile device and many of them say Clean Master was keeping their devices awake for ridiculous amounts of time and it significantly reduces battery life. Considering “Clean Master” is a suspicious app, you had better not install it and you need to take action to delete it from your Android device as soon as possible. Having problem in uninstalling “Clean Master” from your Android? Please live chat with YooCare Expert now. How to Keep Your Android Device Safe? 1. You should always check app reviews before you try to install it. 2. Don’t download apps from third-party app markets. Stick to the reputable market like Google Play. 3. Ensure you are running the latest update of Android available for your device. 4. Lock off apps which might give away information. 5. Pay attention to app permissions during the installation and check the market listing or developer for an explanation of any suspicious permissions. 6. Install a reputable antivirus/security app. 7. Be cautious if you root your device and keep an eye out for the Superuser prompts that are displayed when an app requests root permissions. Rooting allows you to use some powerful apps and even enhanced security functionality, but at the same time increases potential damage from infections. 8. Never pay a ransomware author. If your phone is suddenly blocked up and you are asked to pay for a fine, don’t do that in any cases. Reminder: The solutions to uninstall “Clean Master” app are different depending on the brands of android devices. 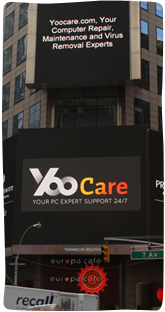 To better get the problem solved, users can LIVE CHAT with YooCare experts now who will walk you through to uninstall Clean Master completely.